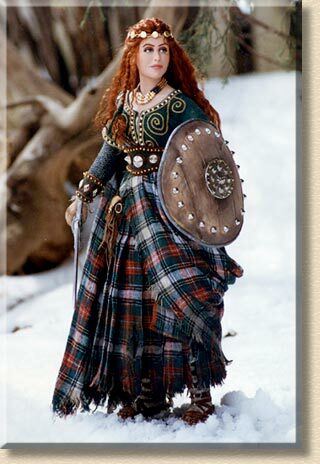 Red-haired Celtic warrior maiden, stands with sword and shield ready to defend her people. Media: Head, hands and feet of Super Sculpey, on a wire armature with a cloth body. She has long red mohair curls with a gold circlet. Her legs are wrapped with rags and bound with leather. 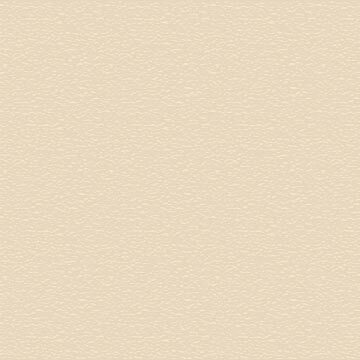 She wears leather sandals. She wears a ragged pleated tartan skirt, and a green tunic embroidered with gold and silver studs, over her chain mail sleeves and studded leather wrist guards. She has a tattered tartan cloak, which is tucked in on one side into her wide studded leather belt. Props: Her shield is turned from wood, edged with lead, and trimmed with silver studs. Her sword is handmade with a wooden blade and sculpted handle. Her necklaces are gold, stone and shell beads.